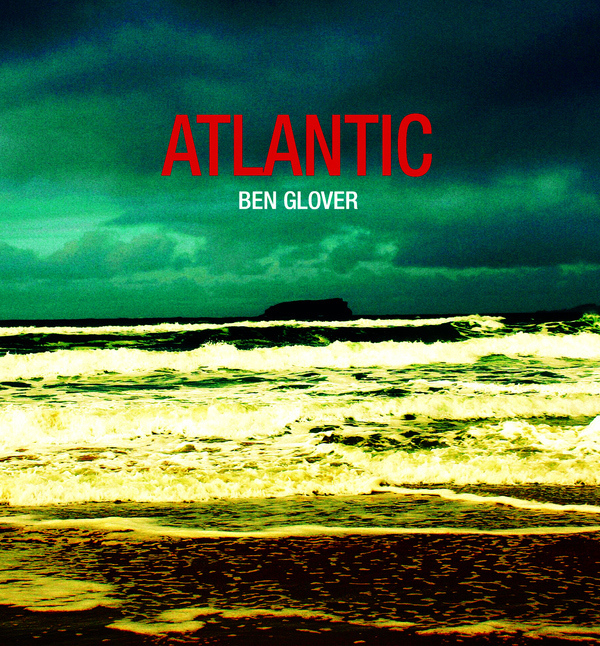 I first became aware of Ben Glover last July, when I saw him support Gretchen Peters at a gig in The High Barn, in Essex. I was a fan from the first song of his set and after chatting to him later in the evening, I had a feeling his 4th album was going to be something very special. Well that was an understatement, to say the least. When Atlantic popped through my letterbox I was excited, and proceeded to tell my wife that this the one I had been talking about. She gave me that look that quite often follows me saying something, but undeterred I scuttled off to listen. The World Is A Dangerous Place sets the mood for album with delicate and beautifully atmospheric guitar picking. Ben’s soft vocals join a few seconds later, and immediately it’s that voice that oozes passion. That’s the beauty of Ben’s signing, whether it be a song like this, or a more gravelly track like Oh Soul that follows it, you feel every single word, every bit of pain, joy or whatever mood Ben is putting across. Mary Gauthier said at this year’s Maverick Festival that it’s hard to define Americana, but you know it when you hear it, and I’m pretty sure I hear it in this album. It’s song-writing of the absolute highest standard, and when you consider as well as Ben’s own hugely skilled writing ability, he drafted in the likes of the aforementioned Mary Gauthier, it really should come as no surprise to anyone just how good it is. The songs on Atlantic have so much depth and substance that I almost feel like I can reach out and touch them, and none more so than Blackbirds. Gretchen Peters is another of Ben’s friends and writing partners, and on this song, singing partner too. This is a song that I don’t want to say to much about, as like a good film or book, I don’t want to spoil the story for you. Let me just say that this one of those rare songs that can have a very profound effect on you, and I was moved on the first listen and every time since. It’s a pretty dark song, but there is such beauty in the vocals and the lyrics, with Ben and Gretchen pulling off one of the most intense and magnificent duets I have ever heard. If I drunk whiskey I think I’d want too drink it listening to this song, but gin and tonic will have to do. While there is incredible weight to a lot of the songs, Atlantic does offer some great upbeat tunes too, Sing A Song Boys is a great example of this, which in both words and sound harks back to Ben’s Irish roots. I can imagine this being sung with Ben sitting on a stool in a pub just as much as on a bigger stage. True Love’s Breaking My Heart brings in more of a country sound and could quite happily have been written and performed 50 years ago in Nashville – both the vocals and sound have a sumptuously classic old Nashville feel. Ben has a such a great way with words, personified by How Much Longer Can We Bend, a song about a strained relationship, and questioning it’s future. I really can’t say enough good things about Atlantic, an album that has come along at the same time as some pretty huge releases from mainstream American Nashville, and blows them all away, with ease. Lyrics, vocals, instrumentation, moods, atmosphere, emotion – there really is nothing missing from Atlantic, an album that is pretty much perfect. In an ideal world Atlantic would be played on every radio station the world over, and become a classic album for years to come. For me it will do just that, and if you have as much love for music as you think you do, you’ll grab a copy and join me in waxing lyrical. checked out his website, he has a grown up way of looking at things, will get the album.